"In booklets handed out at the show, an introductory essay by Hart explains that the values of the fashion label and those of the late sculptor actually align quite easily. 'The Row's principles' scorn for the balkanisation of creativity into narrow silos mirrors Noguchi's own,' Hart writes. 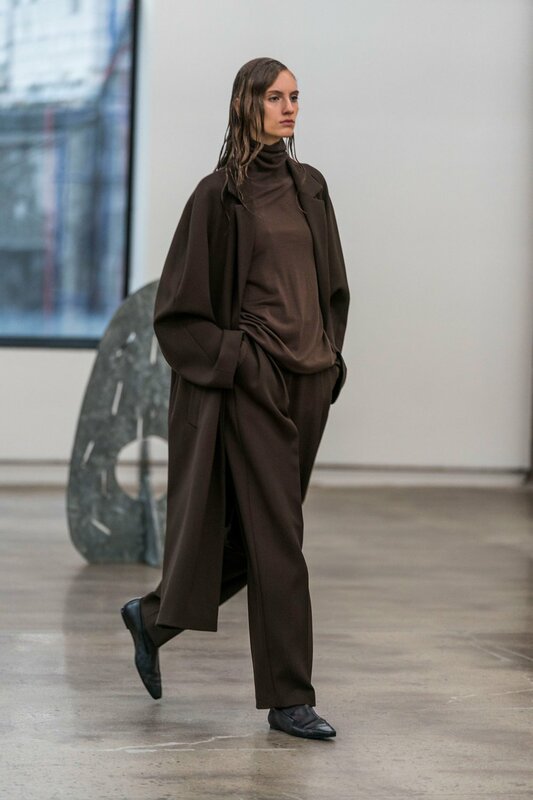 '[The Row's] passion for Noguchi, which stems from their indivisible interests in art and design, have put them in the vanguard of a virtual tidal wave of interest in him in the fashion world.' This sort of high praise isn't doled out regularly to designers of the fashion set. Hart explains that, like Noguchi, the Olsens rightfully oppose the notion that one must be an expert in only a single field—art, painting, furniture—to be seen as prodigious, or even valid."